Stable working program. Recommended for computers with Windows 7 and Windows Vista. E-meter program for weakest computers such as old computers and netbooks. This program have interfaces of Mark V and Mark VII in it's interface. This program could be useful for students doing E-Meter drills. Emulator of Mark V e-meter. This program could be useful for students doing E-Meter drills. Program for remote data transfering from PC to auditor or from student to supervisor or to C/S using www.web-meter.ru service. How to use it you can read here. Download file. Click at downloaded program file and make a left mouse click on the program name or tap with two fingers simultaneously on the program file. When menu appears choose "Open". Program starts. In Settings-> Device choose USB device if you use USB Theta-Meter. Program for remote data transfering from preclear to auditor or from student to supervisor or to C/S using www.web-meter.ru service. How to use it you can read here. This program works at any Android devices with Android 4.0 and higher. Program supportes work with Bluetooth and Wi-Fi Theta-Meters. USB devices are not supported. This program works only with USB e-emeters. 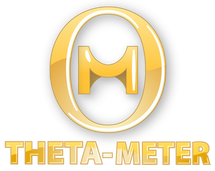 Go to AppSore, find Theta-Meter program, install it at your iPhone or iPad. In program Settings choose correct meter type before use. Works with Bluetooth and Wi-Fi meters. Recording of floating TA at the end of session. 2nd and 3rd generationTheta-Meters don't need drivers. Drivers for Theta-Meter 1st generation. Newest drivers (VCP, virtual com port drivers for FT232R) you can download at chipmaker's website here.